Large two bedroom suite condo with office/den and sofa bed. 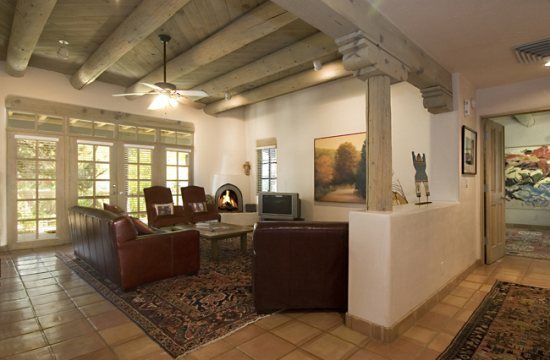 Come enjoy your Santa Fe vacation in the prestigious gated community of Quail Run. This property sleeps six and features a lovely master suite with kiva fireplace, large walk in closet and full bath with separate shower and Jacuzzi tub. 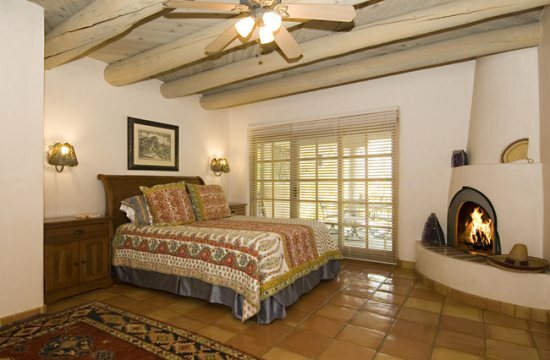 The bedroom with French doors opens to the private patio with wonderful vegetation. The guest bedroom is very comfortable as well with a queen bed. Off the entry, you will find a sitting room with queen sofa bed and desk for those of you needing an office while on vacation.The owner’s hand selected, original art work is warm and tastefully compliments the furnishings and appointments throughout. Fabulous amenities offered at Quail Run are available – the resort boasts a nine hole golf course, indoor pool and tennis courts. Additionally, there is restaurant on site for members and guests to enjoy. This quiet location in Quall Run has tile floors throughout and a cook’s kitchen for your dining enjoyment. Off the living and dining area is a patio with BBQ and dining table and chairs for your outdoor meals. Central evaporative cooling for those warm summer evenings. Two car garage is available for guests. 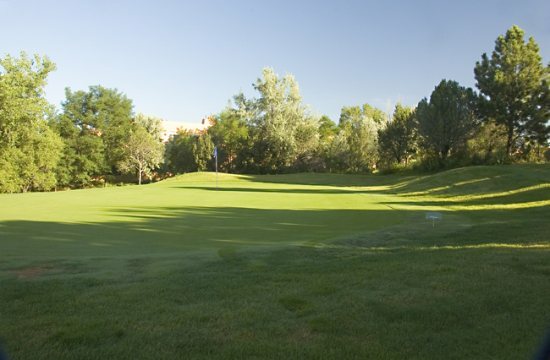 There cannot possibly be any property management company in Santa Fe that is better than Proctor Property Management. We already refer friends and colleagues to them and plan to continue for as long as they are in business.